Pattern Match: To join panel A and B together creating one large continuous panel. 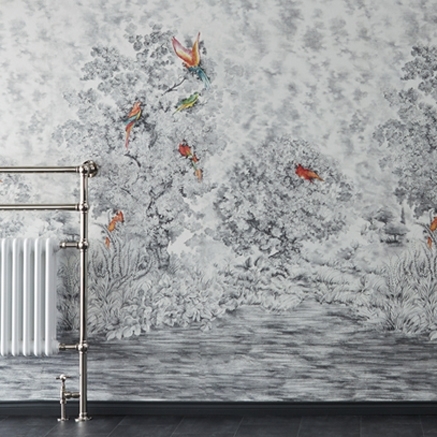 An artistic panelled vinyl wallcovering commissioned to hand draw a landscape scenery, creating a harmonious ambiance with beautiful detailing of birds perched in trees near the river bank. This wallcovering is designed with A and B panels for a continuous mural effect offering a stunning panoramic visual enriched with Swarovski® crystals. 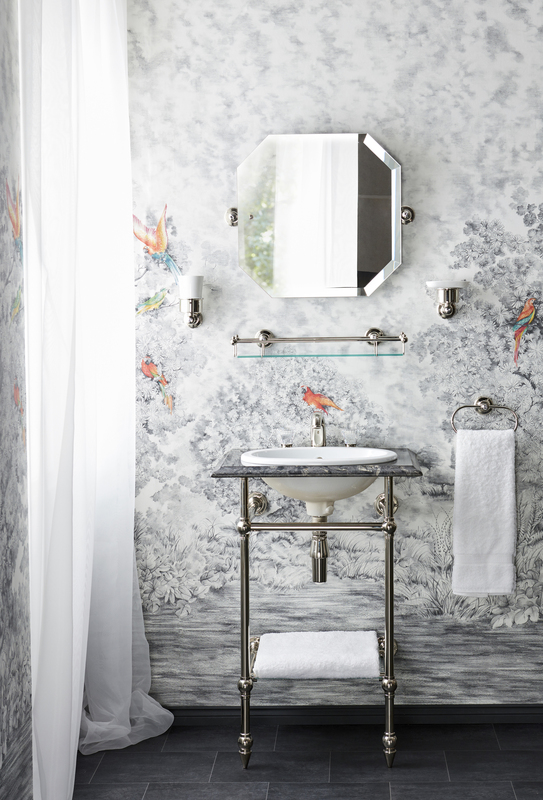 This wallpaper is suitable for high traffic areas and bathrooms.